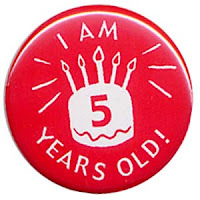 Today is the UK Career Academy Foundation’s fifth birthday. The day started with a presentation to business representatives at Newham College with Stephen Timms MP (with a brilliant roleplay perfromed by Career Academy students) and ended with a piece of birthday cake at our staff meeting in Canary Wharf. And yesterday was our youngest member of staff’s 21st Birthday. So belated happy returns to Khaleda!